We love our animals and yes you’ll be hearing a lot about them! We have many animals, but our dogs Chloe, Trixie and Scooby are like our kids! 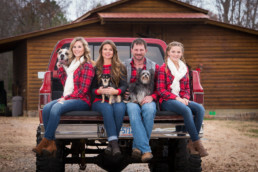 Since you’ve met most of the Earnhardt bunch let me introduce you to the “Furry” Earnhardts. The REAL horse power of our bunch – Passer, Fly, Shorty and Cutter. Steve, Larry, Chandler and Ross (Yep, we like the TV show Friends, HA! 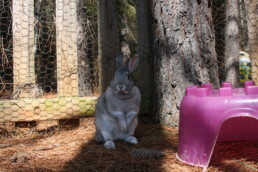 Our sweet bunny ChiChi was rescued from a shelter in my home state of VA about 6 years ago. He had a buddy we adopted, but lost him to cancer about 4 years ago. 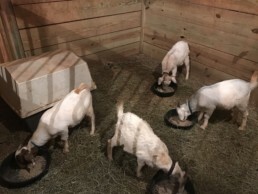 Of course who doesn’t need a goat or 2 or 3 or 4!!! You’ll be seeing these guys a lot in our “Barn Life” blog, but they are still considered our pets! If you couldn’t tell we like giving our animals human names after all, we treated them like one! Meet Gypsy, Chloe, Zaney and Buddy. 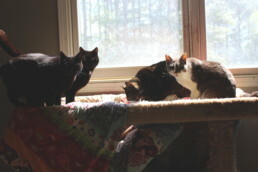 We love our cats so much, they have their own room! Our daughter just had to have chickens, so here’s Frenchie, Millie and Frank. The furbaby we’ve had the longest and the most loved by far, Scooby! We’re proud to say all of our animals are rescued with the exception of the horses and goats! 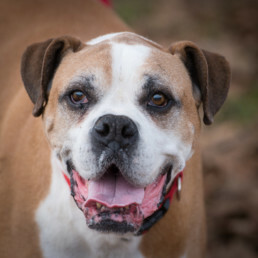 Scooby had less than 24 hrs to live in a shelter in Raleigh. We’re thankful everyday we saw this sweet 6 month old little face in an email chain! I’ve had a background in Veterinary Medicine for 13 years, growing up I always had a dog by my side or a cat in my arms. It was important Kerry and I, (he grew up with pets) to provide that same environment for our children. Most importantly, we have taught them to always respect animals and give them the best care you can or don’t own them! It’s as simple as that!